The Zeta Alpha chapter of Tau Beta Sigma will be hosting the North Central District Convention in 2018. For our chapter, this is a huge honor! At the beginning of the spring 2017 semester, the idea of applying to host convention was brought up in chapter, and from that point, the idea took on a life of its own. Many late nights were spent in Illinois State’s Milner Library as well as in various sisters’ apartments while our convention planning committee worked to pull together our bid and figure out if we really had what was necessary to host convention. Finally, we got all of our materials together and started preparing to present our bid at North Central District convention 2017. When convention came around, our chapter was cautiously optimistic. We felt prepared, all of our materials seemed to be in order, and we were all excited at the prospect of hosting convention at Illinois State. More late nights were spent at convention as some of our sisters prepared to make a presentation on why we felt ready to host convention. Finally presentations were made, votes were cast, and the Zeta Alpha chapter of TBS got to take on hosting convention. Coming back from convention was great; we were so happy to have received the bid and felt as though most of what we would need was in order. Towards the end of the semester, just about a month after receiving the bid, we began to realize that there was still a lot of work left to do if we were going to have a successful convention. Members of our convention planning committee took on leadership roles and created subcommittees such as fundraising and hotels/banquet. These sisters as well as their respective committee members put in countless hours during the end of spring 2017 semester as well as over the summer. Coming into this fall, our various subcommittees came together to finalize a number of elements including contracts, budgets, and schedules. So by now you might be wondering, ‘If hosting a convention is this much work, why would anyone want to do it?’, to this we would respond with one word: pride. Hosting a convention on Illinois State’s campus allows the Zeta Alpha chapter to show pride in our organization, and successfully hosting the convention will certainly provide us with a huge point of pride as well. All of the late nights, long hours, and stressful times will surely be worth it to see the NCD convention run smoothly thanks to our hard work. Preparing to host a convention has certainly been a ride; however, here at Zeta Alpha we would say that it has been well worth it and would encourage other chapters to apply to host convention. 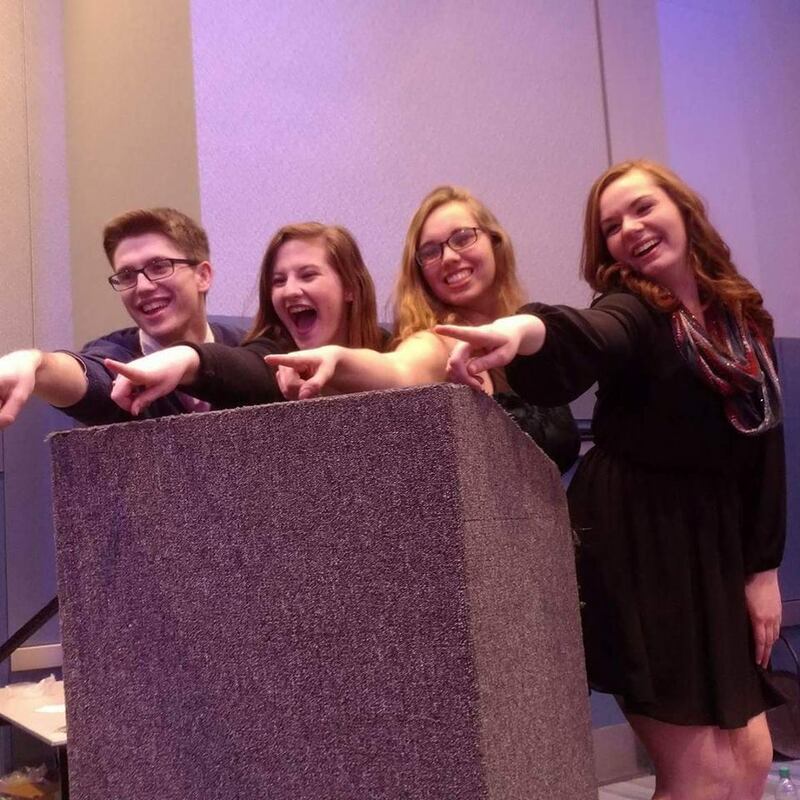 If your chapter thinks that hosting convention might be something you want to try, the one piece of advice we hope you take from this article is to start planning early! Try to give yourselves plenty of time to get your application materials put together so that you are not struggling to find rooms, vendors, and prices. If you do get a bid to host convention, make sure that you keep working to get yourselves as prepared to host as you possibly can be. Getting a bid to host convention is a huge honor and has been beyond exciting; however, when the stress comes (and it will come) it is important to remember why anyone would willingly take on convention in the first place: pride in Tau Beta Sigma and Kappa Kappa Psi. I hope many of you will consider applying to host your own district convention!